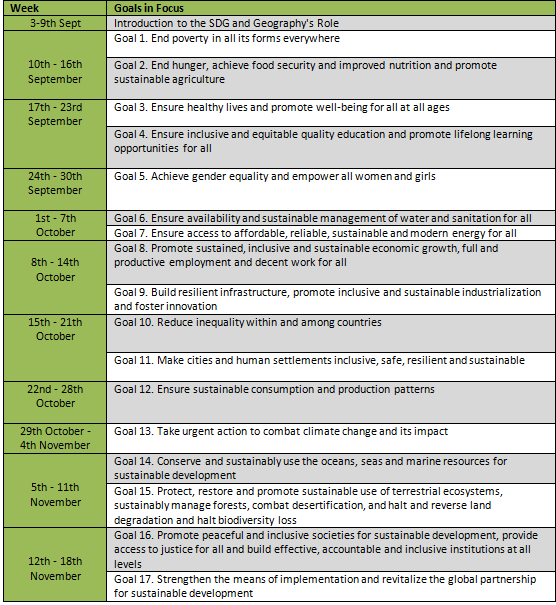 Each week from the 3rd of September we will be publishing articles that highlight the relationship between the work of geographers and the themes of the Sustainable Development Goals. We have set out the schedule for articles to the right. Submissions should be no longer than 1,000 words and please include a brief bio (outside the word limit).